YouTube says it will switch off comments on almost all videos featuring under-18s, in an attempt to “better protect children and families”. At the time, YouTube said it was “working urgently” to clean up the site. In addition to updating its comments policy, YouTube said it had terminated several channels that were “endangering” children. The ban included several channels that were adding shocking content in the middle of children’s cartoons. “Nothing is more important to us than ensuring the safety of young people on the platform,” said YouTube chief executive Susan Wojcicki on Twitter. 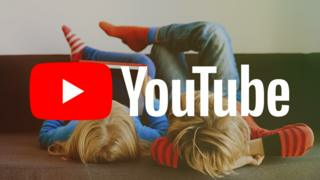 YouTube’s app for children – YouTube Kids – has been criticised for using algorithms to curate content. Inappropriate videos have repeatedly been discovered on the service. The comments left by fans on YouTube videos help the platform’s algorithms decide which videos to serve up and recommend to viewers. Andy Burrows from the child protection charity NSPCC said the announcement was an “important step”. “We know that offenders are twisting YouTube videos for their own sexual gratification, using them to contact other predators and using the comments section as shop window to child abuse image sites,” he said. However, he called for an “independent statutory regulator” that could “force social networks to follow the rules or face tough consequences”.